A fantastic mix of all your favourite quality Lovatts puzzles, including a selection of Brainteasers, Crosswords, Wordsearch, Arrowords, Skeletons, Acrostics, Code Crackers and more. 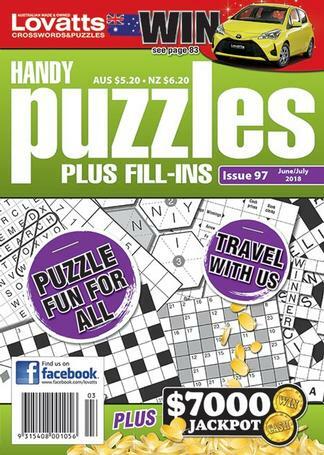 The handy on-the-go size makes it the perfect puzzling travel companion. Fantastic puzzle book that arrives every other month in the mail. The fill ins are all original and ideal to do in between other things during the day to reinvigorate the brain a bit.